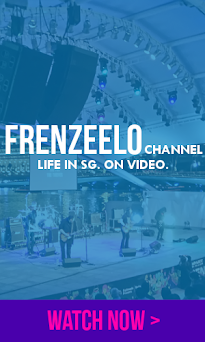 Remember my past three posts about the various town centres around Singapore? 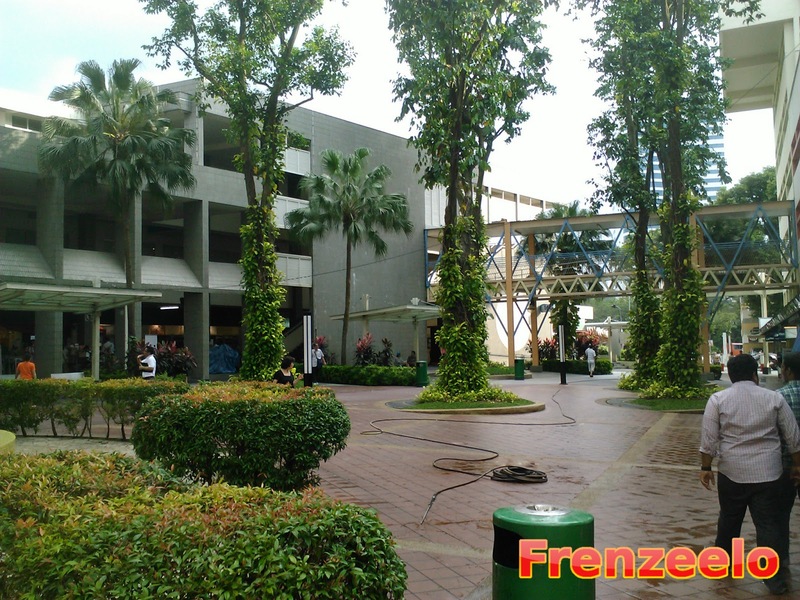 It's called the Awesome Town Centres series and I have written about Ang Mo Kio Town Centre, Toa Payoh Town Centre and Hougang Central Town Centre. Since my last post, I have visited new town centres particularly the ones located in the southern and the western part of Singapore. 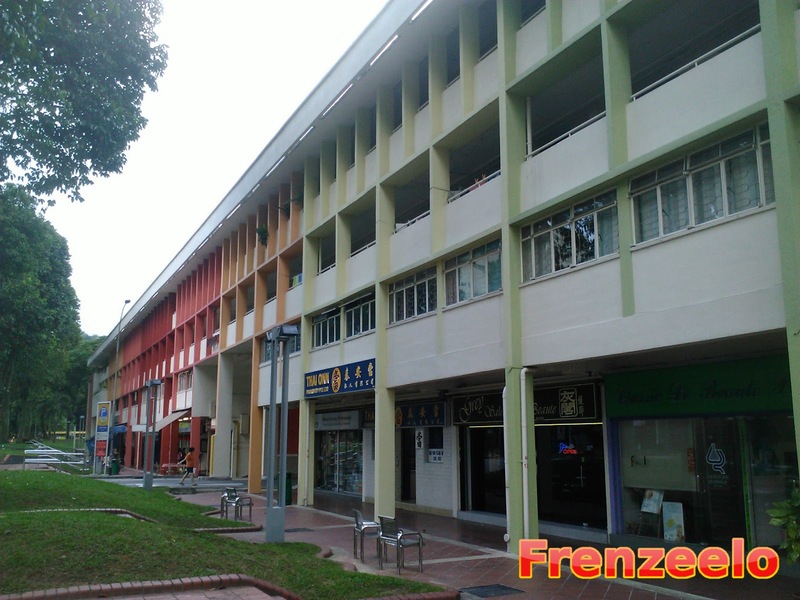 In today's article, I will continue the series by writing about Bukit Merah Town Centre. Bukit Merah Town Centre is a quiet HDB town centre with lots of high rise and low rise flats which features all the great things like hawker centres, small mom and pop shops, a library and so much more just like other town centres. 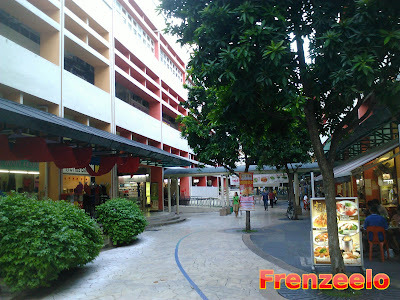 However, there are some things that make Bukit Merah Town Centre different from all the other town centres out there. Want to find out more? Scroll down or click Read More right now. 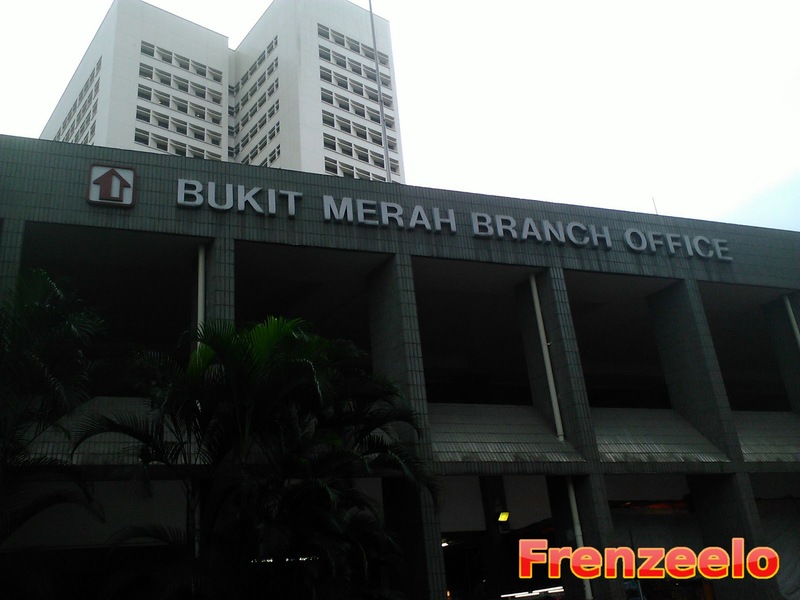 Before I start, let me give you some interesting facts about Bukit Merah Town Centre also known as BMC. 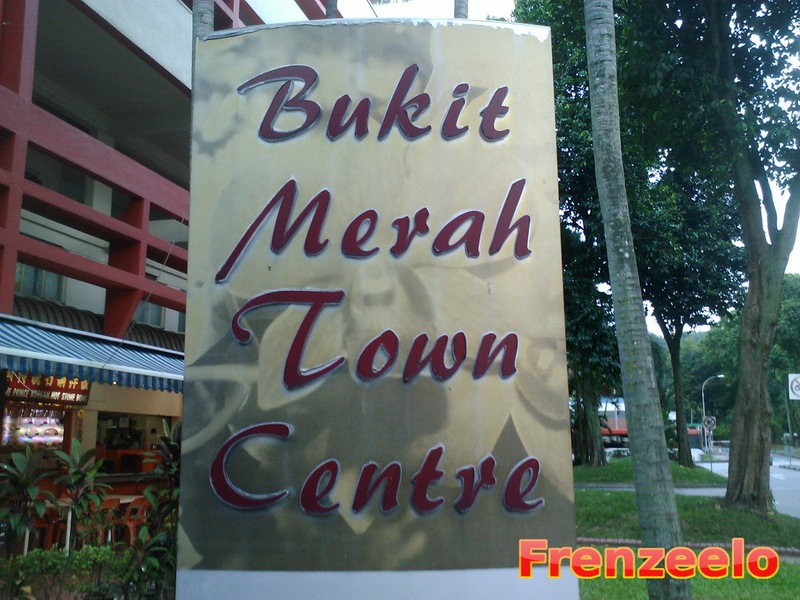 Bukit Merah Town Centre is not located near any MRT station but the nearest is Redhill MRT Station on the East West Line. However, if you check the map, it's still quite far away from the town centre itself. Plus, the bus interchange in the town centre, known as Bukit Merah Bus Interchange, is one of the bus interchanges in Singapore (perhaps the only one) with no direct access to an MRT station. Another interesting fact about this town centre is that there is also no modern shopping mall located anywhere near the town centre. The nearest may be Queensway Shopping Centre but it's still not that close to the town centre. There is AMK Hub near Ang Mo Kio Town Centre, HDB Hub near Toa Payoh Town Centre, Hougang Mall near Hougang Central Town Centre but for Bukit Merah Town Centre, there's no shopping mall. It's a little bit unusual to not have a big shopping mall near the town centre especially when most town centres have them but hey, there are still plenty of affordahle shopping options available over here. These are some of the interesting things that make Bukit Merah Town Centre stand out from the other town centres out there. Just like regular town centres, there are plenty of shops and restaurants available in Bukit Merah Town Centre. There are restaurants that sell steamboat, there are coffeeshops, a home-grown fast food restaurant, a hawker centre and so much more. Unlike the previous HDB town centres that I have visited and talked about, Bukit Merah Town Centre was not really that noisy or filled with lots of people. Maybe it was a weekday when many people were still working? Probably. Still, it's nice to see a town centre that does not really have that much people walking around. There is also a HDB branch office at Bukit Merah Town Centre like some of the other town centres in Singapore. What's so interesting about this building? Well, the selection of shops that are available at the first few levels. There is an NTUC FairPrice outlet for those people who want to carry out their grocery shopping, there is a bakery plus a shop that sells bubble tea. It's a great place for people who want to buy relatively affordable items. Sure, the bakery may not be BreadTalk or the bubble tea shop may not be Gong Cha, but hey, at least they are much more affordable than the big brands. Not only that, there are also more shops at the basement such as a Cheers convenience store and some more shops which I don't recall. Bukit Merah Town Centre also has some useful guides and signage. Unlike some town centres whereby their signage are fixed onto some lamp posts, the ones at Bukit Merah Town Centre has a much bigger signage and shows all the various amenities and facilities and the directions to all these places. It's great that the text and graphics are big so the elderly can see them clearer. 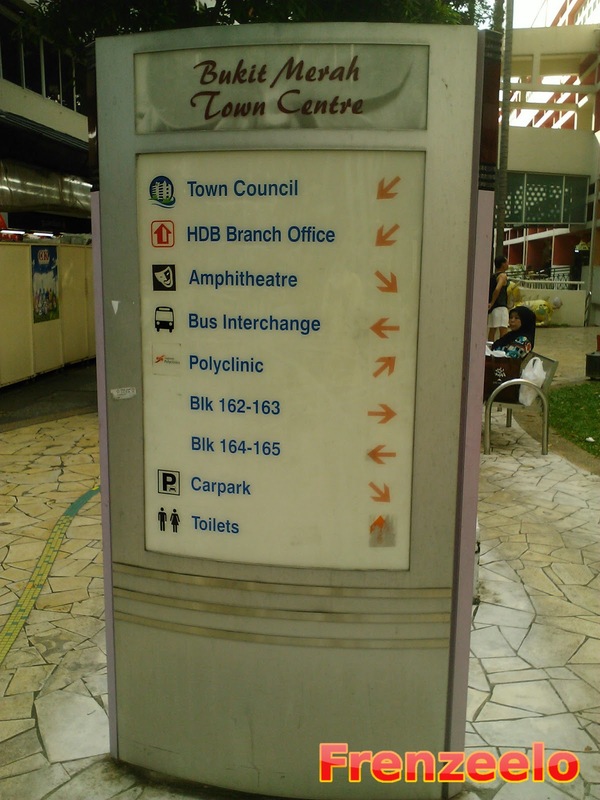 However, I think one of the signages found at Ang Mo Kio Town Centre is more detailed because not only do they show the different directions, they also showed the whole town centre in the form of a map. Maps are much more detailed and although the one at AMK Town Centre was a little bit outdated, it was still useful. Since Bukit Merah Town Centre is quite small, there's not a really a need for a big mapboard anyway. Or maybe they do have a mapboard which I may have overlooked and missed. 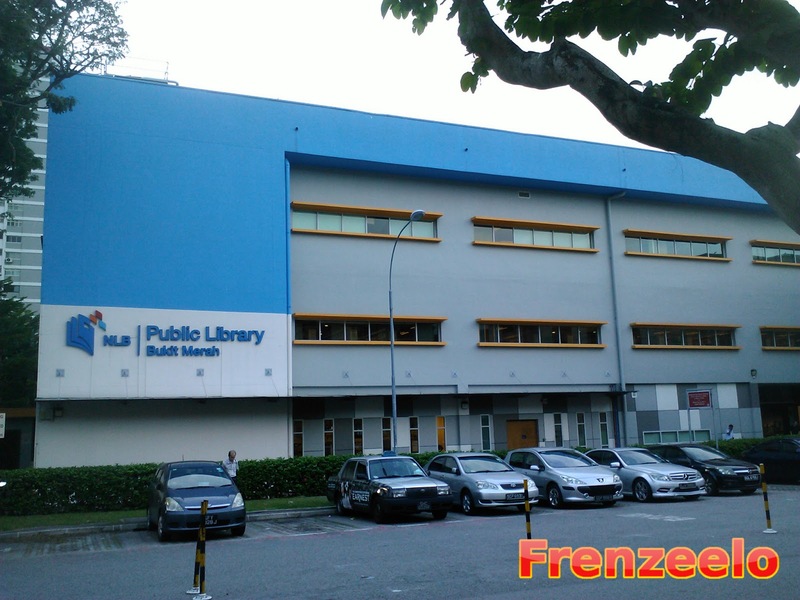 Like most older town centres, the library at Bukit Merah Town Centre is a standalone building. Most modern town centres like Sengkang and Hougang have their libraries inside a shopping mall. Standalone library buildings are much better due to the number of books available in the library building itself. Just like the library at Ang Mo Kio Town Centre, the one over here also has a light blue exterior. While it may not have the architectural marvel of the National Library at Victoria Street (article on that right here), it's still a great place to build up some knowledge through books, get some air-con after a hot day or just relax by surfing the web using the public computer kiosks. Do note that the library is located quite far from the main town centre and bus interchange but it's still within walking distance. 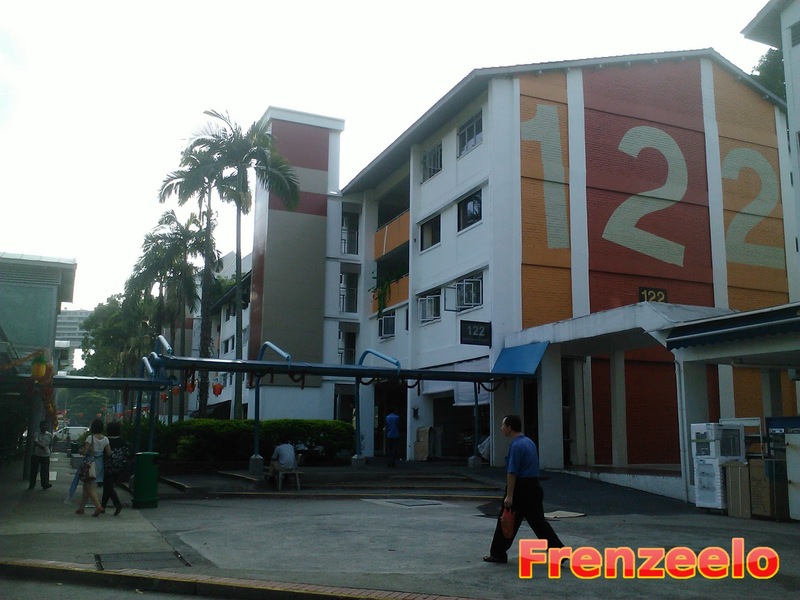 HDB flats found around Bukit Merah Town Centre have different designs and appearances. Some of the flats have these colourful pillars as you can see from the picture above. While the others, have this old-school look with its brown (or grey) brick exterior. 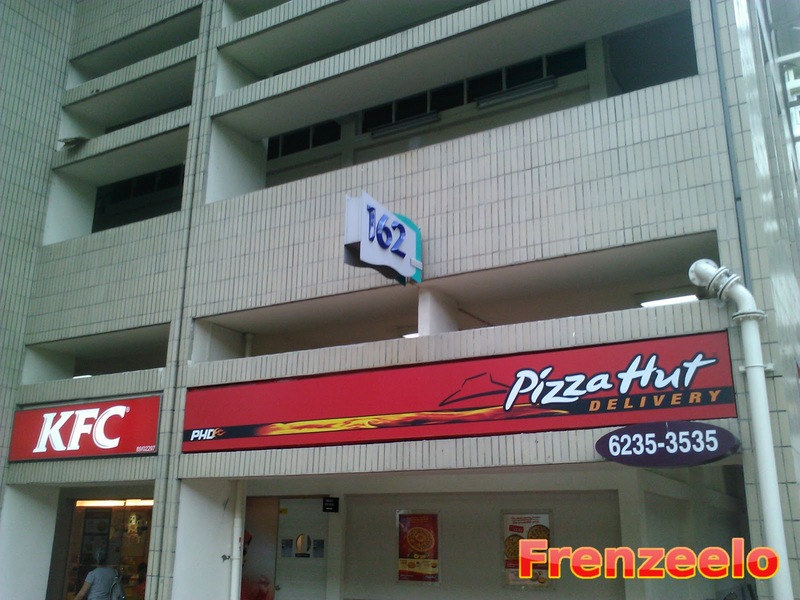 Although they look different in their appearances, they do still have a selection of shops and restaurants located at the void deck which are useful for those who are living just upstairs. Oh and for fast food lovers, there aren't a lot of fast food restaurants available at the town centre. I know there was a KFC, Pizza Hut (if you consider that as fast food) and Brinda's, a home-grown fast food restaurant which I will talk more later on. Back then, there used to be a McDonald's restaurant nearby (cannot 100% confirm it's still there) and an A&W restaurant (which closed alongside other A&W restaurants in 2003). 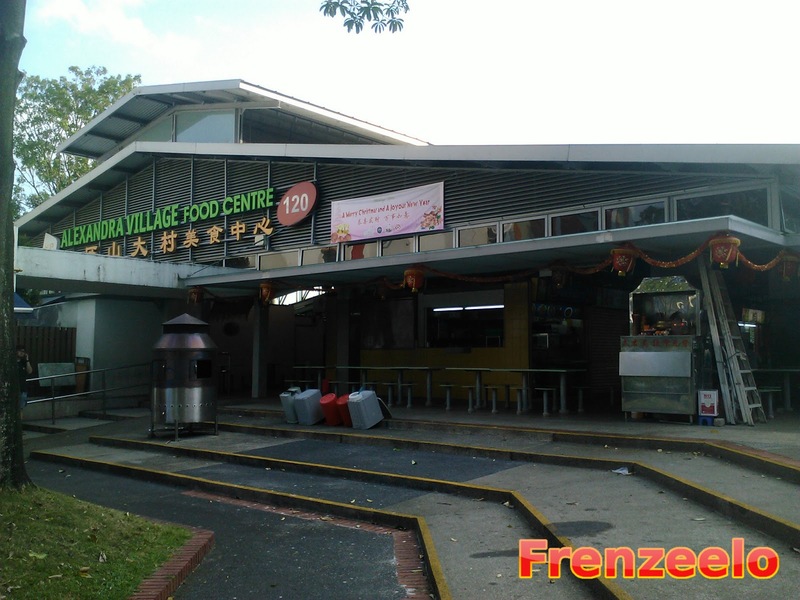 All is not lost though, you can still find plenty of delicious food here at Bukit Merah Town Centre. This is one of the must-visit places in Bukit Merah Town Centre. It's called Brinda's and it's a fast food restaurant selling North Indian cusine. Unlike regular North Indian restaurants whereby it's more like a traditional restaurant, Brinda's has this quick service concept similar to McDonald's and KFC. You head to the counter, make your order to the friendly staff, (seriously, their staff are friendly people), wait for your food and carry your tray full of food to an empty table and tuck in to some delicious food. You may find this slightly similar to Komala's which is another North Indian fast food restaurant that's home-grown. However, unlike Komala's, Brinda's isn't a vegetarian restaurant and it's Halal certified which is great for Muslim customers. 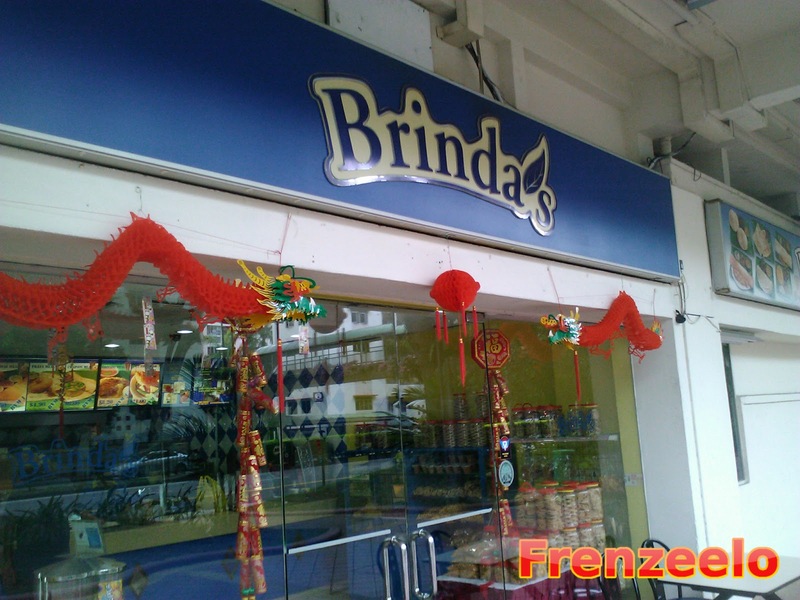 Brinda's is also a great alternative to those who want something else other than the usual Indian fare like Roti Prata or Rojak. If you think the location is too far away from where you are currently living, you can call them up because they do deliveries.You can find out more by checking out their website (which needs a little updating) or better yet, head down to the town centre itself, and try out their delicious food. It's 24 hours by the way. The last time I visited Bukit Merah Town Centre was in January 2013. The time when Chinese New Year decorations were still being put up in various public places and when people were still on the verge of preparing for that joyous celebration. Of course, there were plenty of beautiful Chinese New Year decorations scattered around the town centre to get people to be in the festive mood. 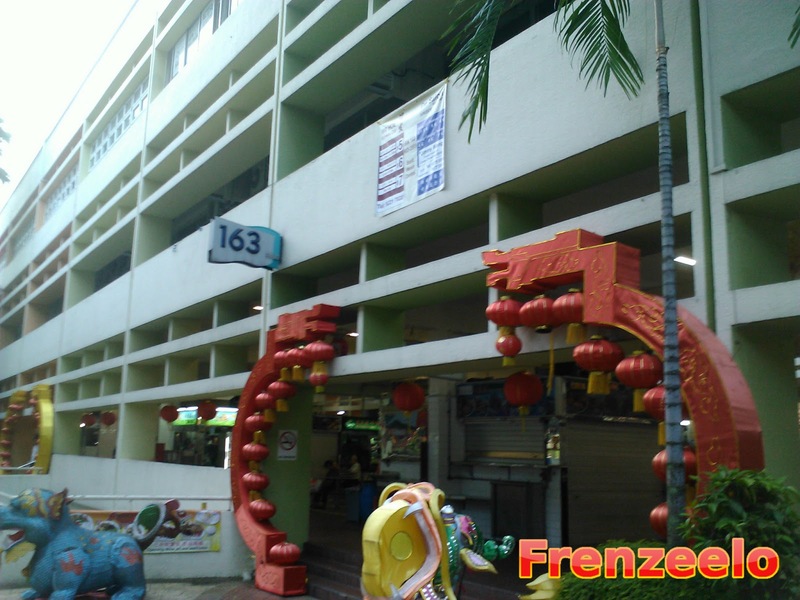 First off, I spotted this decoration outside the hawker centre whereby it looked like a grand entrance. Perhaps they want to welcome the people into the hawker centre or maybe people who entered through the 'grand entrance' will have good luck? I don't know but it was still a great decoration. 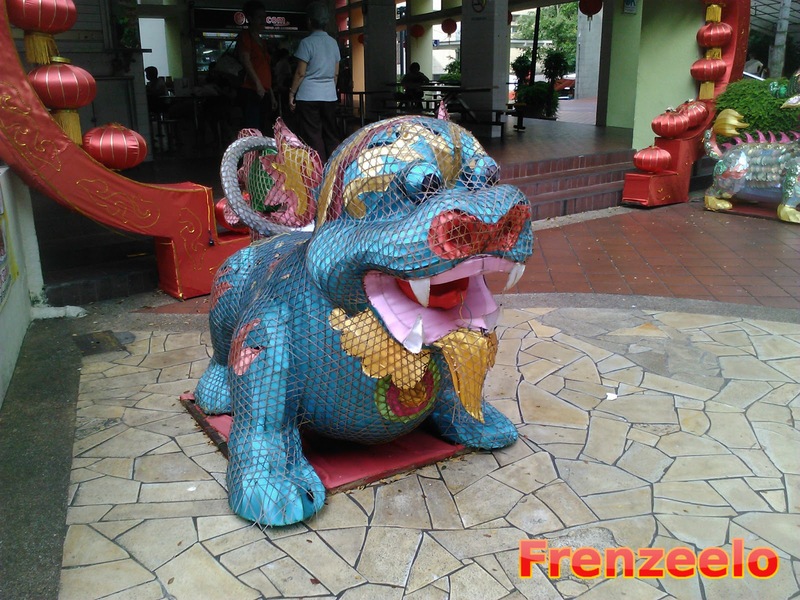 Other than that, there was this cool looking dragon near the entrance to the hawker centre too. In fact, there were more than one. Each of them had a unique design and they looked great. They totally caught my attention. Other than Bukit Merah Town Centre, I also visited another place that was near Bukit Merah Town Centre which was Queensway Shopping Centre. 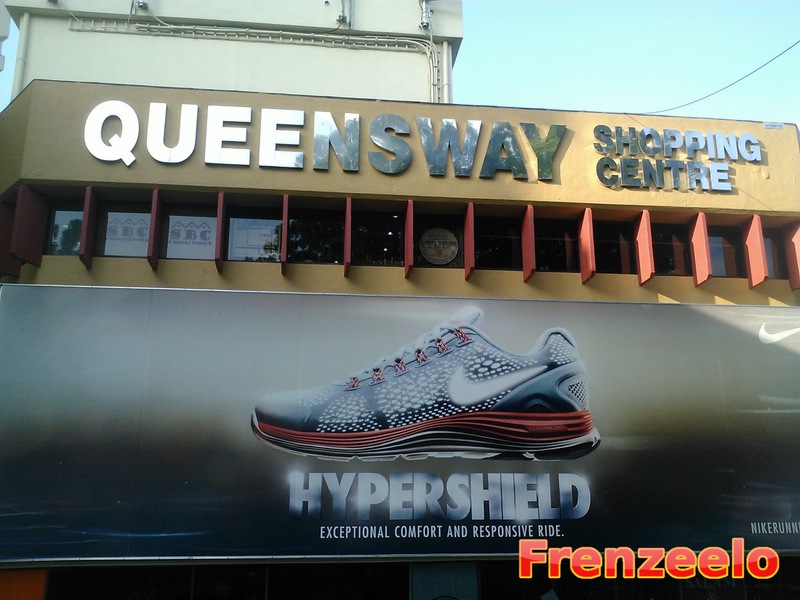 Queensway Shopping Centre is an old-school shopping centre that sells a wide variety of sports shoes and sports equipment at affordable prices. 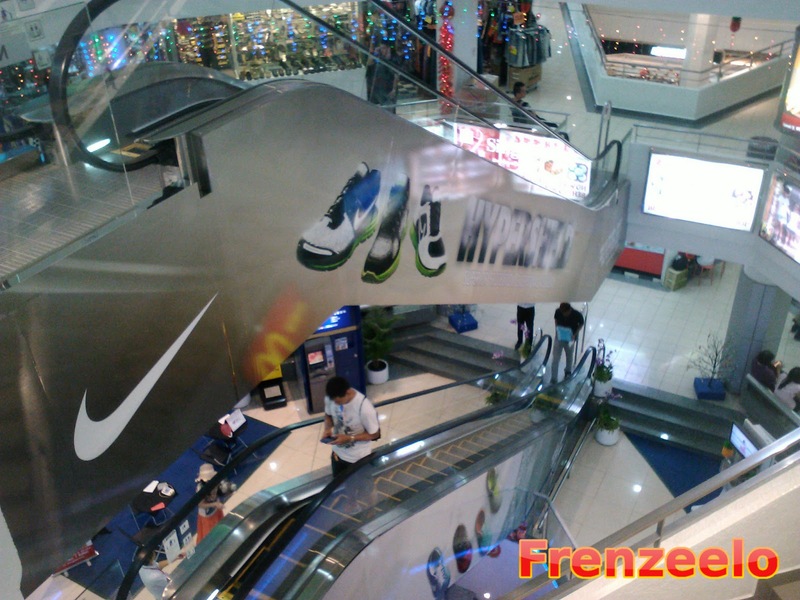 In fact, the whole shopping mall had various advertisements of various sports brands like Nike and Adidas. Other than that, there was also a McDonald's restaurant, mainly to cater to the amount of teenagers shopping here, and there were also plenty of places that sell cheap cafeteria-style food. There are plenty of bus services from Bukit Merah Bus Interchange (just opposite the town centre) that will bring you to Queensway Shopping Centre. The bus stop that's just outside Brinda's also has some bus services that direct you to the shopping centre if you don't feel like walking to the interchange. Just right opposite Queensway Shopping Centre is a neighbourhood centre. Well, it's not really as big as Bukit Merah Town Centre but hey, it's smaller and there are a wide variety of shops, restaurants and there's even a famous hawker centre called Alexandra Village Food Centre. You may be wondering why I am talking about this particular neighbourhood centre when this article is about Bukit Merah Town Centre. Well, let's just say that I also want to talk about the great places that are located near the town centre. Anyway, after visiting Bukit Merah Town Centre, try giving this place a visit too and the Queensway Shopping Centre which are opposite each other. Oh and one more thing, IKEA Alexandra is also located nearby so after visiting these three places, you can head over to Ikea to relax and unwind on their showroom furniture or eat their signature meatballs. In a walnut's shell, the Bukit Merah Town Centre is certainly worth visiting. There are plenty of interesting places to visit like the Bukit Merah HDB Branch Office, the standalone library building, a hawker centre, a homegrown fast food restaurant that sells delicious Halal-certified North Indian food and so much more. After visiting the town centre, head to the junction of Alexandra Road and Jalan Bukit Merah and visit the sports-oriented Queensway Shopping Centre, Alexandra Village Food Centre and the almost nearby, Ikea Alexandra. Sure, it may not have an MRT station and sure, it may not have a big fancy mall, but I think the town centre is better off without them. It's much quieter and it has lesser people unlike other town centres. For those of you who are sick and tired of visiting the same old shopping malls, try heading to a town centre. Who knows? You may find some hidden gems right in the town centre.